The Fireface UCX is the connection Firewire400 sound card and USB2.0 X-Core technology that cares for easy and stable to interface with any computer. The new generation of converters from RME and structured DSP engine allows use of software function, the digital mixer FX Total mix high processing capabilities and matrix. 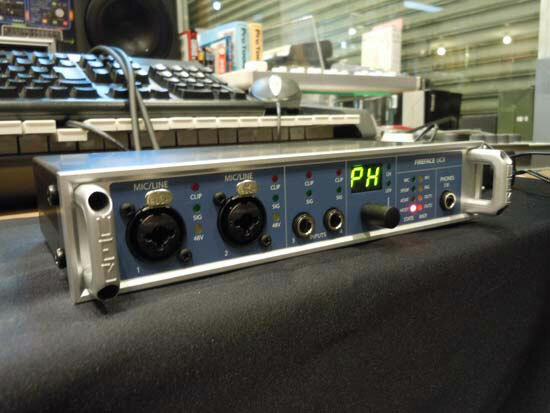 The UCX contains dozens of technologies that do not exist in any other device in the world as technologically Auto Set automatically determines the Gain microphone to prevent distortion and in healthy every situation with any audio source, interfacing control for iPad and iPad2 (card first professional makes the iPad in a professional recording) and an externally controlled programmable Talkback.